BANDS! I remember going to the Labor Day Classic one year with my sister. 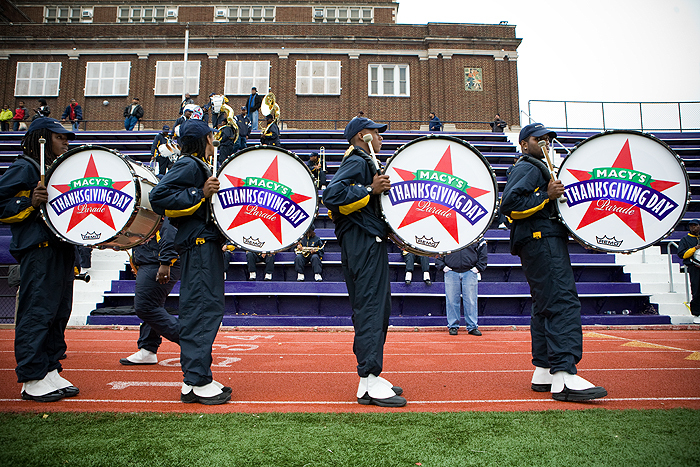 It was an annual game between the Prairie View A&M Panthers (her alma mater) and the Texas Southern University Tigers (Michael Strahan's alma mater). 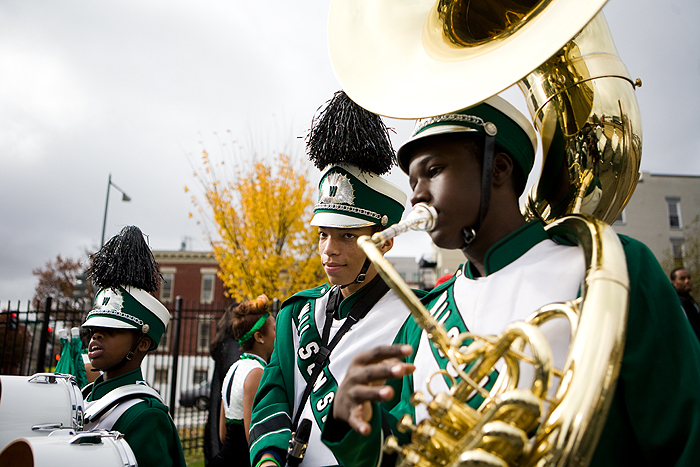 At the time she was in school, the team was so bad that the only time the stands were full was during halftime when the bands went at it. The rest of the time was spent milling around in the concourse of the Astrodome, getting phone numbers and seeing what everyone else was wearing. 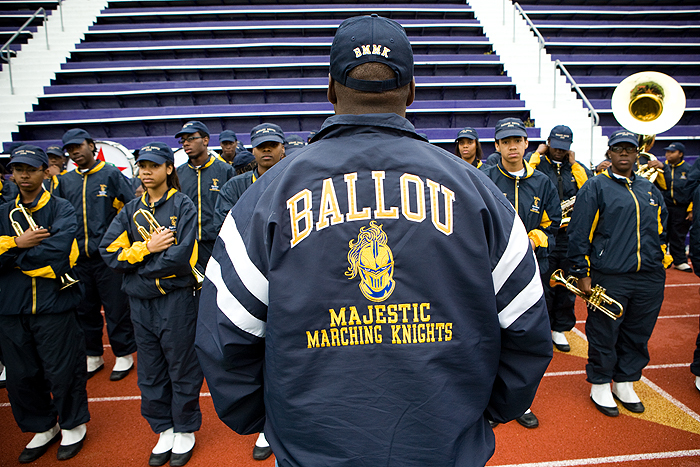 That wasn't quite the scene at Cardozo high school last Friday during the Ballou/Wilson playoff game, but the way the Ballou Majestic Marching Knights performed brought back memories. 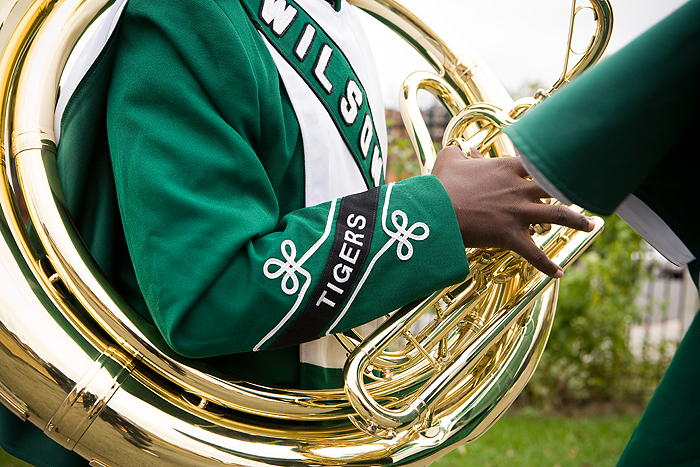 The show included the band playing Michael Jackson's "Thriller" while completing all of the choreography with trombones and sousaphones in tow. I played the trumpet in middle school. Shout out to bands.